Why Do Gifted Autistic Children Fly Under the Radar? Since my nine-year-old daughter was diagnosed as high-functioning autistic in November 2016, I’ve come to realize that she is not the only child who’s autism flew under the radar, camouflaged, it seems, behind her intellect. She said her first word at three months, was speaking in full sentences by 10 months and could read silently at 15 months. I found out by accident one night, when at bedtime, I mentioned to my husband which book I was going to select for story-time. Before I could get up from her toddler-bed, she scrambled to her bookshelf, dropped to her knees, and proceeded to scan the spines of each title, her eyes following her index finger as a guide. When she finally found the right book, somewhere in the middle of the second shelf, she squealed in delight and ran back to me with her prize. When I shared this story with her pediatrician, he nodded when I noted how my toddler expressed excitement at showing me what she could do and how she snuggled against me for her beloved story time. According to the National Association for Gifted Children, there are specific traits and characteristics that a child must exhibit in order to considered gifted. These include unusual alertness, rapid learning, intense feelings and reactions and deep or insightful thinking. Gifted children also tend to display extreme focus in one area and are often highly sensitive. Autism is a neurological disorder defined by its affect on the person’s ability to communicate, socialize and behave in socially appropriate ways. Those with autism often struggle with sensitivities to light, sound and other factors in their environment. Many also experience difficulty in expressing emotion and are often believed to lack empathy, as they struggle to understand that others may think and feel differently. Autism, most importantly, is a spectrum disorder, with individuals demonstrating a wide variance in how they are affected. The core issues involve deficits in communication and social interaction. My child checked nearly every box, impressing us all in kindergarten by reading at a third-grade level. She was obsessed with the digestive system and could name every organ in our body involved in the process and had an equal fascination with the giant squid, and would lock up physically and emotionally, grunting and distressed, when challenged or upset. With time, and plenty of trial and error, we learned that if we “didn’t poke the little bear,” leaving her to self-regulate, we would avoid the meltdown that came when she wasn’t given the silence and space she needed to calm down. And yet, with every issue we came to accept as normal and learn how to deal on our own terms, we were still being petted on the head and reminded that gifted kids are difficult whenever we asked if her teachers were sure there wasn’t another issue at play. We were told to stop making a big deal out of nothing. But the “nothing” was a pretty big deal. She has had major separation anxiety since birth, requiring me to we are her in a wrap or a carrier almost nonstop (I didn’t mind). She had colic every night for the first year, screaming for hours into the night. Her father and I had violent night terrors to deal with, having to restrain her when she was in danger of hurling herself off of her bed and into the hardwood floor. Change, no matter how small, set off frantic tantrums we could not soothe. But she is gifted, and that means people see her intellect before they see her autism. 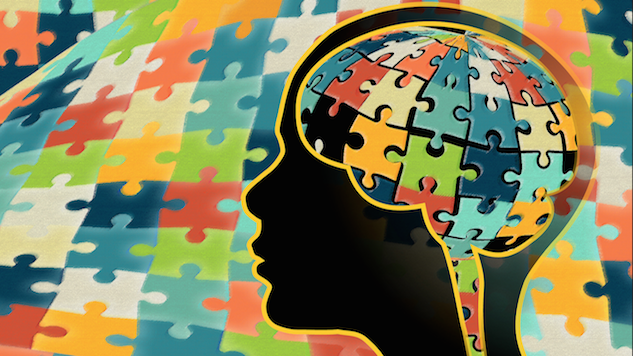 Neuroscience journalist Maia Szalavitz explored the unusual parallels between child prodigies in “What Genius and Autism Have in Common,” noting that of those who are considered to be “twice-exceptional” are more likely to be boys. This finding, she says, may be due at least in part to the frequency with with girls with autism are actually under-diagnosed, or their unique talents missed entirely. Boston resident Carrie Hamilton says this reflects her family’s experience. Hamilton pushed for her daughter’s autism evaluation because she knew there was another issue that needed to be addressed, an experience that mirrors our own journey. It took time, but when her (new) pediatrician nodded her head when I listed off, yet again, the reasons I believed we needed an autism evaluation to at least eliminate the possibility for my daughter, I almost cried with relief. Nine months later, and after a five-hour evaluation with a childhood developmental psychiatrist, she was diagnosed as having high-functioning autism, and we were grateful for the door to services now available to us. Gifted children may present unique challenges for parents, as do children with autism and, of course, those who are both gifted and autistic. The only “difficulty,” I believe, lies with those in the medical community that refuse to look beyond the preconceived ideas that made getting the diagnose my daughter needed. Now that we now, life has gotten a whole lot easier. Pauline Campos is an artist, Aspie-Mom, and author of “Be Your Own F*cking Sunshine: An Inspirational Journal for People Who Like to Swear.” ADHD is her superpower. Pauline Lives in Minnesota, but will always be from Detroit. Find her at aspiringmama.com. Twitter: @pauline_campos.